Cats Obsessed With Boxes !! If you’re a pet parent to a simply adorable fur ball of awesomeness (a.k.a. cat), you’ve likely noticed her extra affection for boxes, especially those of the cardboard variety. Yes, it seems there has been a long term love affair between our feline friends and the corrugated containers we use for packing and such, but why? What is it about cardboard material that appeals to cats? The smell? The texture? Cardboard boxes help reduce stress in cats. In fact, the boxes help them adjust to new environments. For reasons unknown, cats seem to adore the smell of cardboard, explaining why a box made from any other material simply isn’t good enough for them. Cats enjoy hiding inside cardboard boxes. Seeking out a confined space fulfills an instinctual behavior for cats, providing an area to hide from predators and stalk prey. A cardboard box offers safety and security. Being surrounded by five sides, with only one option for entry, gives cats an opportunity to relax, knowing nothing can sneak up from behind or from the side. Boxes provide cats with a cozy place to sleep, which is very important given that felines sleep for up to 20 hours each day. It appears the love affair between cats and cardboard boxes has much to do with a cat’s primal instincts. And encouraging the love affair by providing your cat with a cardboard box or two can be beneficial to her health, by lowering stress levels, making her less prone to disease, and keeping her happy. So, are there any downsides to allowing your cat to rendezvous with a cardboard box or two? Only one – they aren’t very visually appealing, standing out like a sore thumb among your home’s stylish décor. 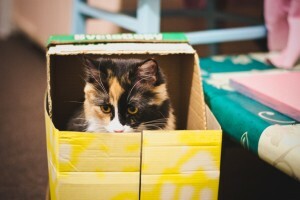 Use your creativity and craftiness to create the perfect cardboard box “house” for your cat. Perhaps cover the outside of the box with fabric, or turn on its side and drape a pretty piece of fabric over the top. But whatever you do, do not apply paint as it will mask the smell of the cardboard, which will take away much of the appeal for your cat. Need some inspiration? Simply search for “cardboard cat house” on Google or Pinterest and you’ll be bombarded with ideas! So, now that you know the reason behind your cat’s affection toward cardboard boxes, think of the many ways a box can be reused before you toss it away. Surely your cat will love to get a new hiding place! There is no other mammal on earth that comes even close to approaching the variations in forms that we find in domestic dogs. The difference in size between a teacup Yorkshire terrier and an adult English mastiff is proportionately larger than the difference between a human and an elephant. 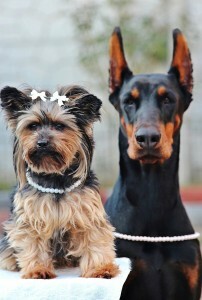 So can the dramatic differences in size and shape of dogs affect canine psychology? A few years ago, a research team from the University of Sydney in Australia was interested in whether behavioral problems in dogs are related to breed differences in height, weight, and – most interestingly – the shape of a dog’s head. There are three basic categories when it comes to head shape in canines: brachiocephalic, or wide-headed with a short snout, like English Bulldogs; dolichocephalic, or narrow-headed with a long snout, like a Greyhound; and mesocephalic, which falls between the other two, with a Labrador Retriever as an example. Unlike humans, the topography of a dog’s skull is related to differences in our personalities. For example, dogs bred for hunting and chasing typically have narrow heads and long noses. In contrast, many breeds with short snouts and wide skulls tend to act like perpetual puppies. To determine a breed’s proclivity for behavioral problems, the researchers turned to the Canine Behavioral Assessment and Research Questionnaire, a massive database developed and maintained by University of Pennsylvania. It is a web-based survey in which owners rate their dogs on nearly three dozen behaviors, most of them problematic. Thousands of dog owners have now participated in this on-going research project. 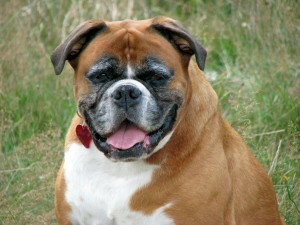 The researchers from the University of Sydney used the database profiles of 8,301 dogs representing 49 common breeds. The guardian of each animal rated his or her pet on nearly three dozen irritating, disruptive, or destructive behaviors, including aggression, persistent barking, chewing, stealing food, hyperactivity, “mounting,” escaping, and coprophagia (eating poop). Height – Short breeds were more prone to beg for food, have serious attachment issues, be afraid of other dogs, roll in feces, be overly sensitive to touch, defecate and urinate when left alone, and more difficult to train. They also were more inclined to hump people’s legs. Weight – Lighter weight breeds were more excitable, hyperactive, and more likely to exhibit “dog rivalry” than heavier dogs. They were also more apt to run away from home. Head shape – Head shape was found to be related to some problematic behaviors. Long-nosed dogs were more prone to inappropriate chasing fearfulness of strangers. Dogs with short noses and wide skulls were more apt to attack other dogs. Keep in mind the results are statistical generalizations based on samples. Your small dog is not a basket case! He just may be more prone to becoming one without your guidance and support. Newsletter Author and creator, Darlene Wagner Butler for Professional Pet Sitting Etc. Senior pets have a lot to give, most are trained, housebroken and full of love !! 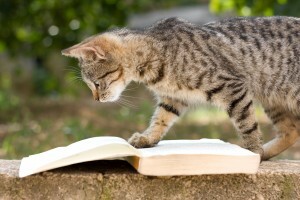 Author, Darlene Wagner for Professional Pet Sitting Etc. Many potential pet parents go to their local shelter in the hopes of finding the perfect puppy or kitten to add to their family. I mean, who can resist their adorableness? While they may be cute, fluffy and fun, there are equally good reasons to bypass the puppies and kittens and adopt a senior pet (seniors are considered to be five years and older). Seniors make instant companions. Sure, they need a little time to settle in and get accustom to their new home, but since they’ve had a family before you, they’re ready to embrace a new one with devotion and love. Senior pets often represent the highest at-risk percentage of pets in shelters, meaning their chances of being euthanized are higher than that of younger animals. Adopting a senior pet means you are saving a life. Most senior pets are already house trained, know some common training commands, have already passed the chewing phase, and are quick learners. Caring for a senior pet can be less work than caring for a young pet as they enjoy having time to themselves and enjoy a good night’s sleep. Senior pets have a calm, cool and collected manner and are often happy and content with a more relaxed day-to-day routine than a kitten or puppy. Just because an older pet is in the shelter doesn’t mean he’s a “problem pet.” Often times, seniors wind up in shelters due to their owner going through a job loss, move, illness or even death. Senior pets often have a much more relaxed attitude than a young pet and don’t require constant attention. Of course, they do still require a serious commitment to their care and well-being, but they don’t need as much focus and energy as a puppy or a kitten. Welcoming a senior pet to your family will give you the heartwarming knowledge that he will live out his golden years with the care, love and attention he deserves. Senior pets still have plenty of life in them and limitless love to share. If you choose to welcome a senior pet to your family, you can rest assured you’ll experience their appreciation, you’ll develop a strong bond, and you’ll have the fulfillment of knowing you gave a senior a second chance at life. Go ahead, dog kisses are good ! 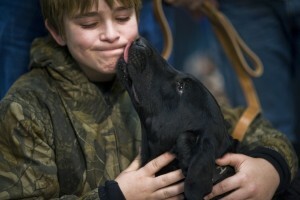 Canine Kisses May Be Good for Your Health! Some of us knew it all along, while other wince at the mere thought of a lick from their loving pooch ~ canine kisses are beneficial to our health! Sure, many pet parents get a bit uncomfortable when their pooch puckers up and lands a sloppy, wet kiss smack dab on their lips. The theory of it is cute ~ licks mean love in the doggy world, right? But the reality of it is that most canine kiss recipients can’t wipe it off fast enough. After all, we know where those mouths have been! It’s a well-known truth that people and their pets have a unique bond, particularly people and their pooches. And researchers at the University of Arizona decided to investigate exactly what it is that promotes this exceptional relationship. Despite their habit of poking their noses in unsavory places, dog’s guts contain microbes that could have a probiotic effect on the human body, and may encourage the growth of positive microorganisms. Previous research has shown that those with canine companions tend to be healthier and happier, and that dogs and their pet parents share much of the same gut bacteria over time. It’s common knowledge that not all bacteria is good and, unfortunately, over time we’ve managed to eliminate good bacteria along with bad with the use of antibiotics. This led researchers to wonder if dogs serve not only as loyal companions, but also probiotics to enhance the health of the bacteria that lives in our guts. It is their belief that canines might offer probiotic benefits to people that are equal in health to a cup of yogurt or taking a probiotic supplement. Participants in the University’s study will be paired with a dog from the Humane Society of Southern Arizona, living with the pooch for three months. Before cohabitation, the researchers will evaluate the participants’ gut bacteria, physical activity levels, immune function and their diet, as well as the gut bacteria and physical activity levels of their paired pooch. These tests will be repeated after each month of cohabitation to determine if there has been a positive impact on either participant’s gut bacteria. The researchers will also look for evidence of any improvement in the human’s and the dog’s overall health and emotional well-being. So, if you happen to be one of those pet parents whose love for your dog knows no bounds and isn’t afraid to show it by receiving a sloppy kiss, perhaps you should keep it up! And for those of you who stealthily dodge the doggie kisses, it will be interested to see the results of this “dog kisses” study, especially if they prove your canine’s kisses can offer more than you ever thought possible!